Dr Marcin Romanowski is a graduate of the Faculty of Law at the Nicolaus Copernicus University in Toruń. He also has a postgraduate LL.M. (Magister Legum) degree from the University of Regensburg. Dr Romanowski is a scholar of the Konrad Adenauer Foundation at the University of Regensburg, University of Greifswald, and Humboldt University in Berlin. He defended his doctoral thesis “Ownership in the process of settling accounts with the communist past. A theoretical and legal study using the example of Germany after 1989” in 2008 at the Cardinal Stefan Wyszyński University in Warsaw. Since 2002, Dr Romanowski has been a research and teaching assistant and since 2008 an assistant professor at the Department of Theory and Philosophy of Law of the Faculty of Law and Administration within the Cardinal Stefan Wyszyński University in Warsaw. He served as an expert of the Sejm’s special investigative committee on the Lew Rywin affair (known as “the Rywin’s Committee”). Between 2005 and 2007, Dr Romanowski worked as an advisor at the Ministry of Justice and since 2015 has been an expert there. He is a member of the Programme Board of Prawo i Więź (Law and Social Bonds), a quarterly covering all aspects of law. Since 2016, he has been the Head of the Council of the Lech Kaczyński National School of Public Administration. The main areas of his research interests include the law of settling accounts with the past in lawless countries, natural law and non-positivist conceptions of law, the theory of global law, legal anthropology and its applications in the creation and application of law. He is the author of more than 10 publications and academic studies and co-author of monographs entitled On difficult cases in the philosophy of law. Studies on philosophical anthropology and Reprivatisation. 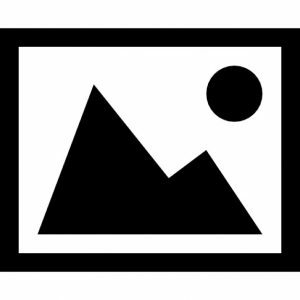 Problems of theory and practice. Dr Wielec graduated from the Faculty of Law and Administration of the Cardinal Stefan Wyszyński University in Warsaw. He defended his doctoral thesis “Prohibition of evidence related to secrecy of confession in criminal proceedings” in 2008 at the Cardinal Stefan Wyszyński University in Warsaw. 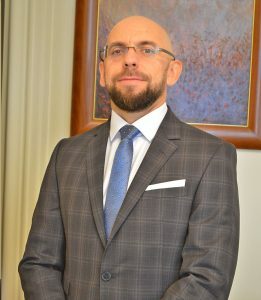 Since 2003, Dr Wielec has been a research and teaching assistant and since 2008 an assistant professor at the Department of Criminal Procedure of the Faculty of Law and Administration within the Cardinal Stefan Wyszyński University in Warsaw. He is the author and a co-author of several books and a number of academic papers on issues related to criminal procedure. 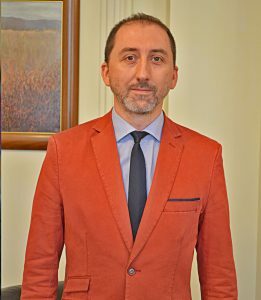 He is a member of the Programme and Editorial Board of the quarterly Probacja (Probation) and also the author of expert reports and legal opinions for public authorities. The general areas of his research interests include: criminal law and procedure, disciplinary law and procedure, criminal executive law, and within these in particular – the areas of correlation between criminal procedure and other areas of law such as canon law, administrative law, disciplinary law and issues related to the axiology of criminal procedure. In 2000, Prof. Pohl graduated from the Faculty of Law and Administration of the Adam Mickiewicz University in Poznań. He also completed doctoral studies (2004) and received a habilitation degree in legal sciences (2008) at the same faculty. His doctoral thesis, written under the supervision of Professor Aleksander Tobis, focused on the issue of staging an insurance accident, and his habiliation thesis discussed the sanctioned norm in criminal law (The structure of the sanctioned norm in criminal law. General issues, Poznań 2007). In 2015, Prof. Pohl received the academic title of professor of legal sciences. 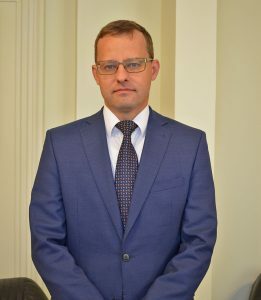 Between 2005 and 2015 he worked at the Chair (Department) of Criminal Law of the Adam Mickiewicz University in Poznań, and since 2008 he has been the head of the Department of Criminal Law at the University of Szczecin. Prof. Pohl is the author of two monographs (one of which is the book A mistake relating to a circumstance being an element of a prohibited act in Polish criminal law. General issues, Poznań 2013), one textbook (Criminal law. The general part, Warszawa 2015, 3rd edition), two extensive passages in the work entitled The system of criminal law focusing on the issue of an act and mistake in criminal law, more than ten explanatory notes in the Commentary to the Criminal Code edited by R. A. Stefański and several dozen academic papers. The focus of his academic interest is the fundamental issues of the general part of criminal law, and specifically the basic problems of criminology. The professor is married and has a daughter and a son. Dr Sobolewski is a graduate of the Faculty of Law and Administration of the University of Warsaw and the Centre for the Study of English and European Law. He earned a doctoral degree in legal sciences in 2009 based on a thesis entitled “Consent to a medical procedure”. He is the author of over 50 academic publications in Polish and English and of special note are his extensive passages in the Commentary to the Civil Code edited by K. Osajda. He is also co-author of the monograph Statute of limitation for tortious claims. For a number of years Dr Sobolewski has been a lecturer at the Faculty of Law and Administration of the University of Warsaw, where he taught civil and commercial law. Currently, he holds classes in civil law in English. The focus of his research interests is: traditional institutions of substantive civil law (problems related to legal acts, the protection of personal interests, causal relationships, statute of limitation), medical law (protection of the rights of a patient, liability for medical mistakes, the limits of permissible medical intervention) and constitutional law (principles of the State Treasury’s liability for losses caused by the unlawful exercise of official authority). 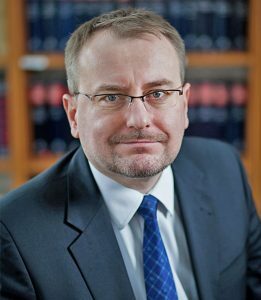 Since 2010 Dr Sobolewski has been working in the Bureau of Research of the Chancellery of the Sejm, where he has prepared over 100 opinions on Polish and European law. He is a member of editorial team of Zeszyty Prawnicze BAS, (BoR Legal Papers, a quarterly issued by experts from the Bureau of Research). Assistant professor of the Institute of Justice and the Faculty of Law and Administration of the Cardinal Stefan Wyszyński University of Warsaw. Member of the Bar. Dr Słyk graduated from the Faculty of Law and Administration of the University of Warsaw. In 2010 he defended his doctoral thesis, entitled “The liability of parents for damage caused by their child under civil law and the manner and extent of the exercise of their parental authority”. Dr Słyk has been employed at the Institute of Justice since 2011. He is a member of the Family Law Codification Committee, a body established by the Ombudsman for Children. Deputy Chair of the Bioethics Committee at the Children’s Memorial Health Institute. Secretary of the editorial team of Law in Action’s civil law section. He is married and is father to a daughter. Adiunkt w Instytucie Wymiaru Sprawiedliwości oraz na Wydziale Prawa i Administracji Uniwersytetu Jagiellońskiego. Dr Mostowik works as an assistant professor at the Institute of Justice and the Faculty of Law and Administration of the Jagiellonian University in Kraków. He graduated from the Faculty of Law and Administration at the Jagiellonian University in 1999. In 2005, Dr Mostowik defended a doctoral thesis entitled “Unjust enrichment in private international law”. In 2015 he earned a habilitation degree based on his dissertation entitled “Parental responsibility and care over a child in private international law” and his other research achievements. Between 2001 and 2005 he was a trainee legal counsellor. From 2015 until 2017 Dr Mostowik worked as a clerk to a judge of the Constitutional Tribunal. He has been employed at the Institute of Justice since 2017, when the section he is in charge of was established. He is the 2014 winner of a contest run by Przegląd Sądowy (Court Review), a monthly for legal practitioners, for the most useful book for justice system practitioners. He is also the author of a number of publications on civil law, including works on private family international law and civil procedure, which also discuss problems of the political system and European issues. Dr Mostowik is a member of the programme board of Problemy współczesnego prawa międzynarodowego, europejskiego i porównawczego (Problems of the contemporary international, EU and comparative law), an annual journal published by the Institute of European Studies at the Jagiellonian University, a member of the editorial team of Metryka. Studia z zakresu prawa osobowego i rejestracji stanu cywilnego (The Certificate. Studies on personal and civil registration law), a legal journal, and a member of the team of reviewers of Acta Iuris Stetinensis, an academic journal from the Faculty of Law and Administration of the University of Szczecin. Dr Mostowik is married and is father to a daughter and two sons. Żonaty, ojciec córki i dwóch synów. Paweł Ostaszewski is a doctor of legal sciences, has a master’s degree in political science in the area of social prevention and rehabilitation as well as a master’s degree in education. He also completed a postgraduate course in statistical analyses and data mining. Dr Ostaszewski is the author of a number of publications on criminology and the study of the justice system. He has participated in over one hundred research projects as a team member, coordinator, consultant or manager. He teaches methods of statistical analyses and research techniques in criminology at the Institute of Social Prevention and Rehabilitation of the University of Warsaw. He is a member of the team for the evaluation of the enforcement system at the Ministry of Justice. Dr Ostaszewski is a deputy secretary of the editorial office as well as statistical editor of the Bulettin of the Stefan Batawia Polish Society of Criminology.